Britannia Shipyards is looking for dedicated individuals to join our volunteer program! We offer a wide variety of experiences, duties and roles designed to suit individuals who would like both short term and long term volunteer opportunities. If you have any questions, please contact us at 604-238-8037. 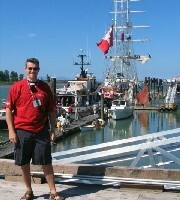 Be a part of the new Living History program at the Steveston Heritage Sites! No experience is necessary. Training is provided. Volunteers will not be acting/in character. Volunteers must be 15+, outgoing, passionate about history and willing to share their knowledge and enthusiasm with the public. Sign up HERE for an Information Session, held on Wed. April 10 6:30-8:00pm or Sat. April 13 10:30am-12:00pm. If you have any questions, email us at shsvolunteers@richmond.ca or call us at 604-238-8037. Spend some time at Britannia and welcome visitors from around the world to our Shipyard building and dock, where they can view historic vessels and enjoy scenic waterfront views. This position may be working inside the Shipyard building, or outside on the dock. Volunteers will be trained in Dock Safety. Shifts will run from 12:00-4:00pm on Saturdays or Sundays. The Education Docent volunteer position is an opportunity to gain experience working with school students in a heritage setting. Responsibilities include: preparing program materials, setting-up / taking-down tables and chairs, assisting with student’s hands-on activities, and providing interpretation of historical buildings. Successful candidates should enjoy working with students and have an interest in local history and museums. Must also be able to stand for 2 hours, tolerate noise and temperature changes. Shifts usually take place between 9am-3pm, Monday-Friday. All Education Docent volunteers must complete a Police Information Check. Spend a short time with us during any number of exciting events: Family Day, Doors Open, Richmond Maritime Festival, Grand Prix of Art and Culture Days! Duties include greeting visitors and helping with activities. Our next 2019 events requiring volunteers are Doors Open (June 1 and 2) and Richmond Maritime Festival (held July 27 and 28). Check back in May for information on how to sign up!